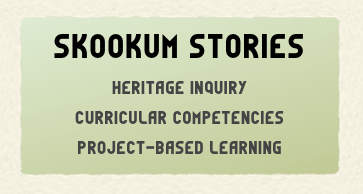 For the morning session, here is a pdf of the slideshow: Heritage Inquiry, Project & Resource Ideas, and new curriculum discussions. For the afternoon session, here is a pdf of the slideshow: Planning, teaching, and assessing Social Studies in the context of new curriculum. If you saw or heard anything in the morning or afternoon sessions that you want to follow up on, just let me know. Here's the three articles we discussed: Newmark on Gimmicks, Welsh on Choice and Flexibility, and Martelli on Curricula Issues. Some of the other resources and links can also be found below with the BCSSTA 2016 presentation, or can be found elsewhere on this site or over at pacificslope.ca. Thanks for coming!